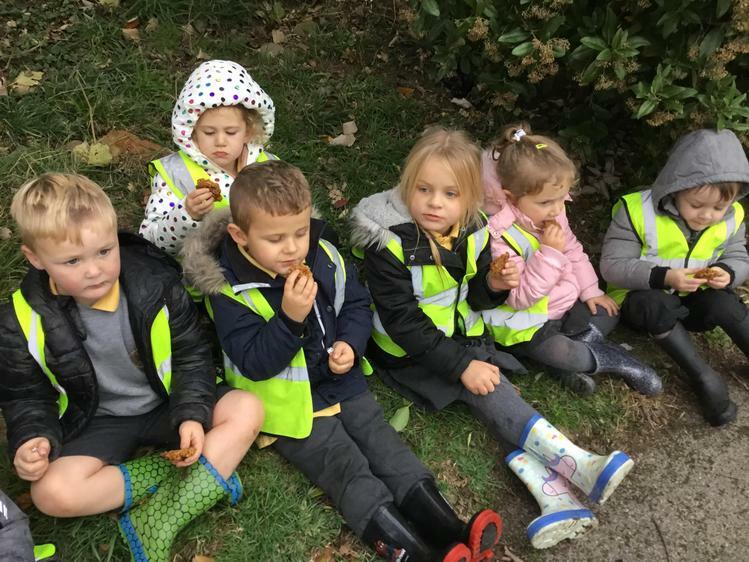 Bluebells class is the Early Years Foundation Stage Class at Wheatcroft School. 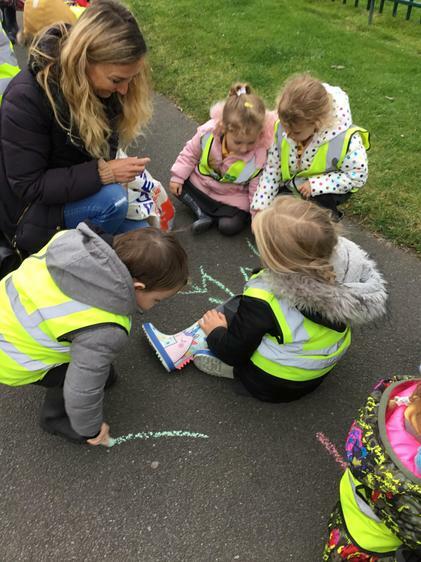 Mrs Beedham, Mrs Noble, Mrs Potts, Mrs Campbell and Mrs Silby work in Bluebells to guide and support the children through their first experiences at school. 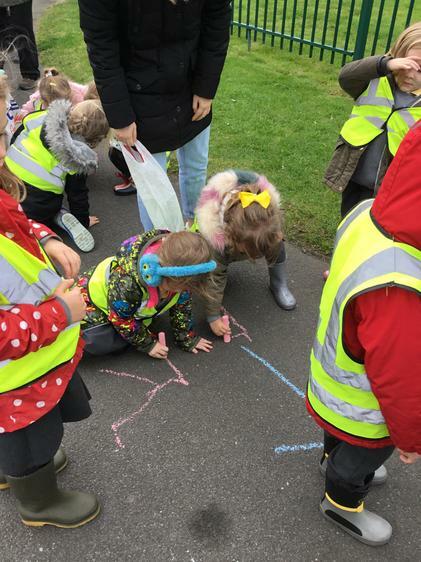 In Bluebells, the children will learn through their play as they are taught the Early Years Foundation Stage Curriculum as set out by the Government. 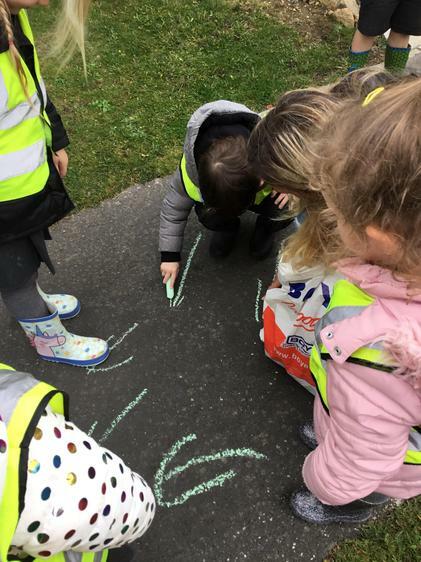 As well as making friends, learning new routines and becoming familiar with their new surroundings, the children will be learning phonics, numbers and stories. 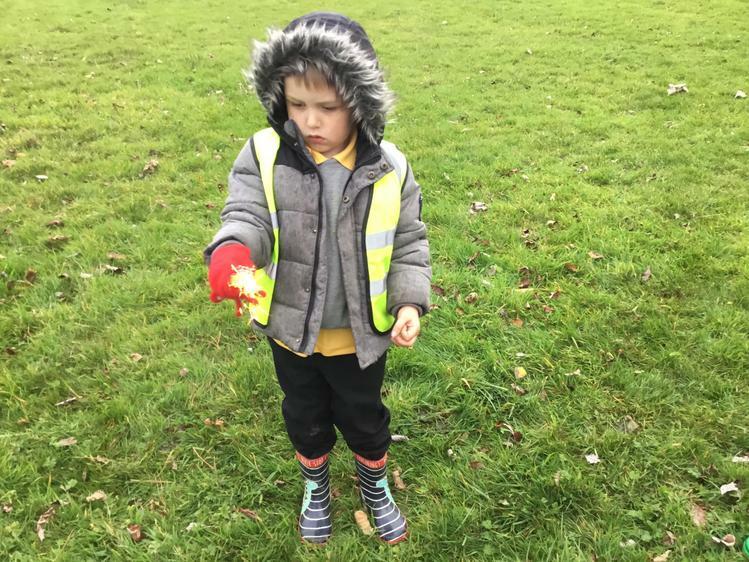 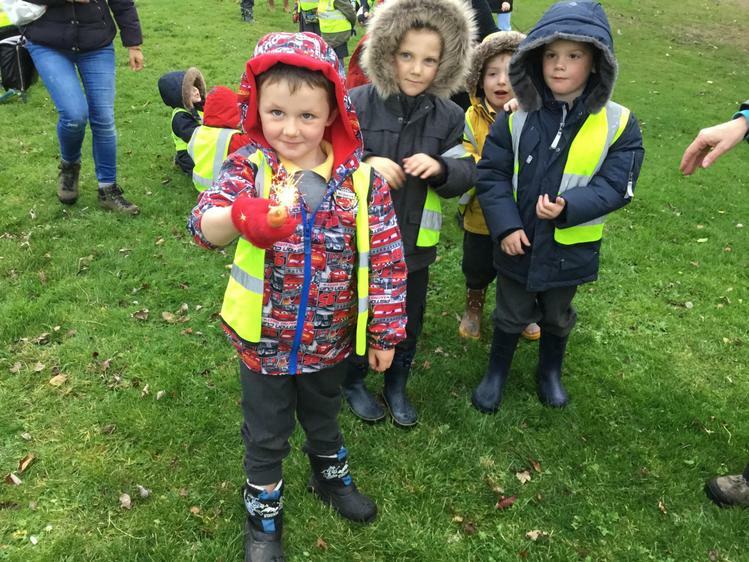 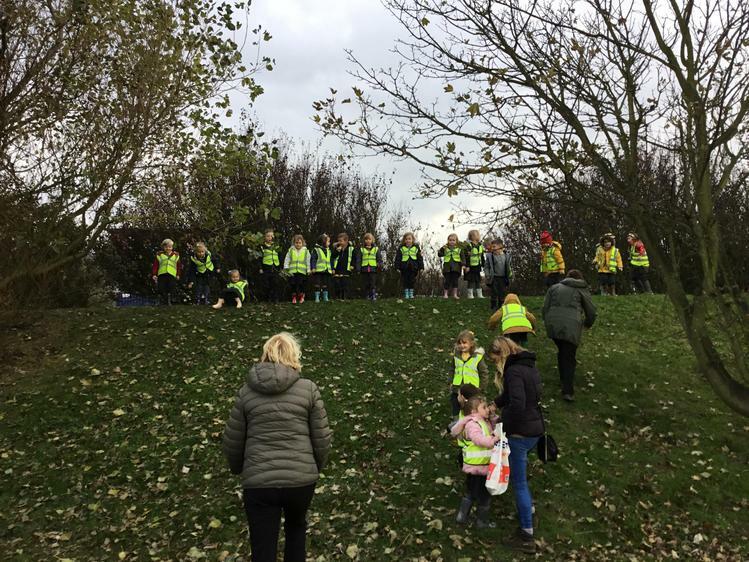 The children had a great time on our second welly walk of the year. 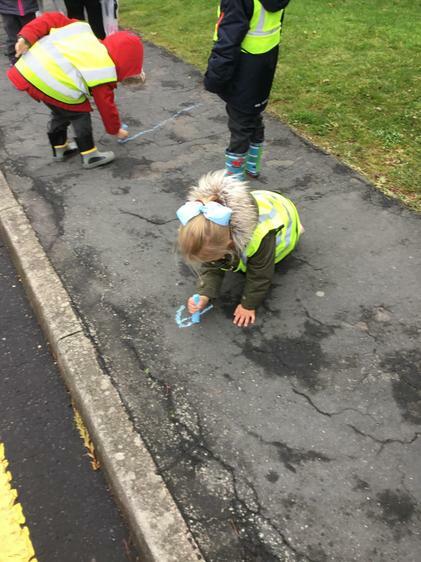 As we started our walk we chalked arrows on the floor to follow. 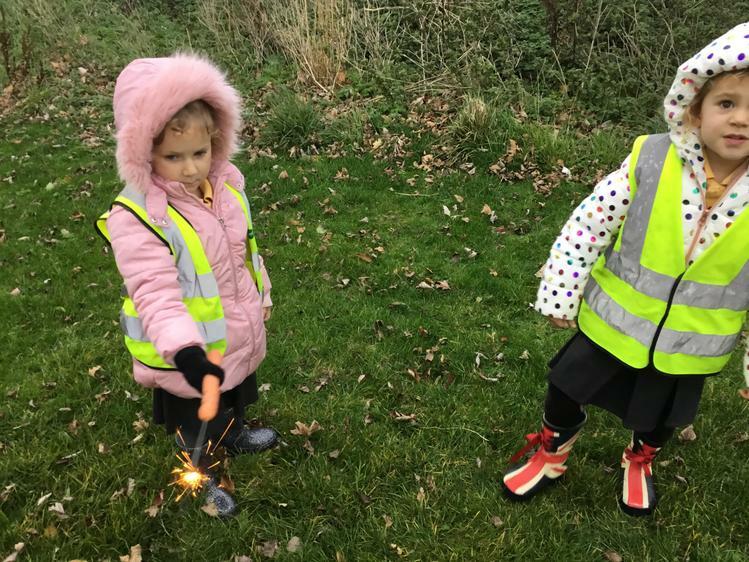 When we got to Sea Cliff car park we found the hill to run up and down before settling down to light our sparklers ('fire sticks' as they are now known!). 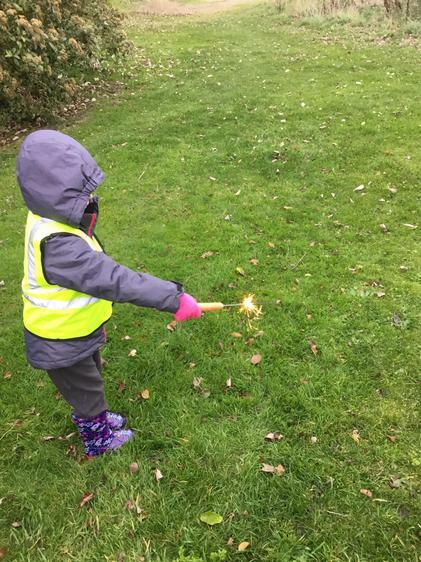 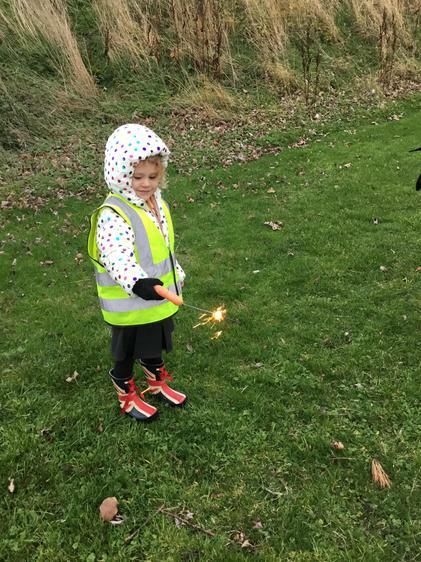 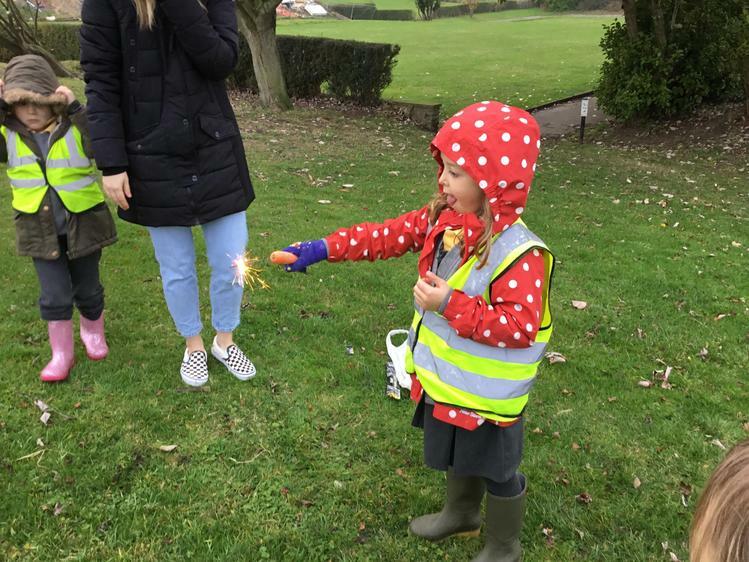 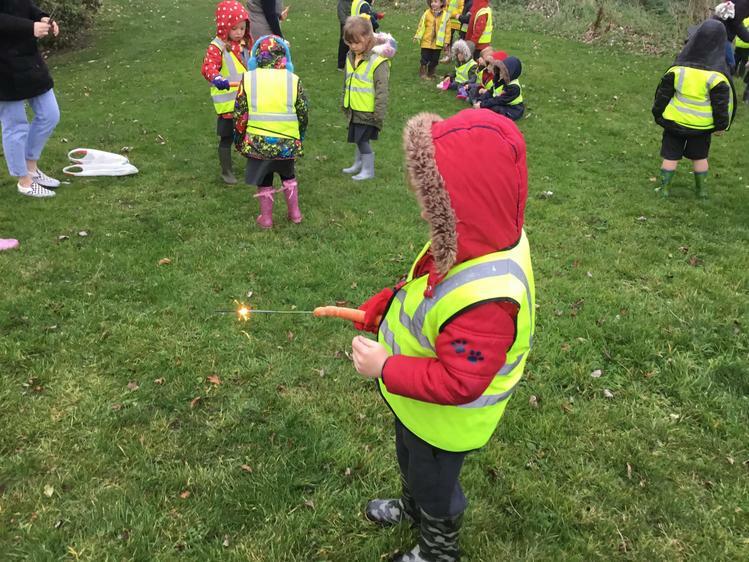 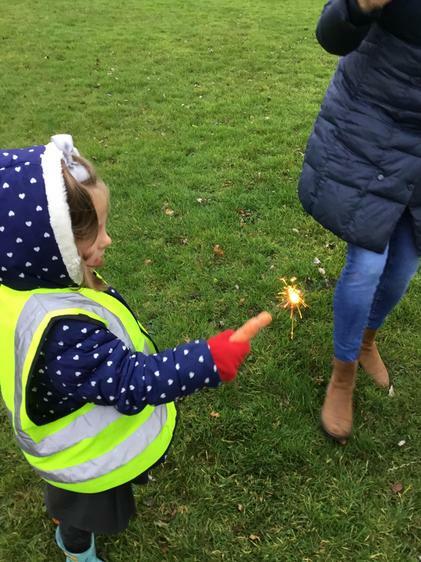 The children were very aware of their own safety and explained to the adults how to keep safe when using the sparklers. 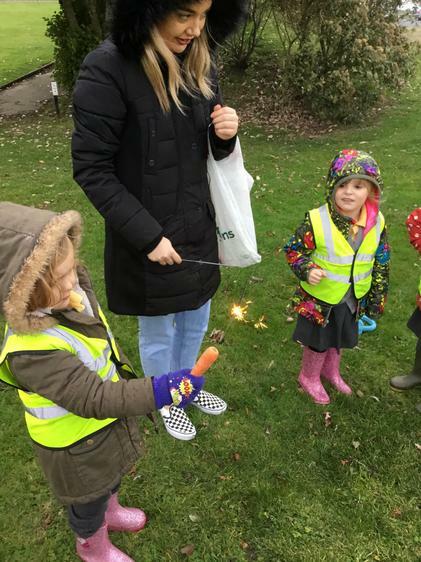 We particularly liked Mrs Campbell's top tip of using carrots with the sparklers to keep the children's fingers extra safe. 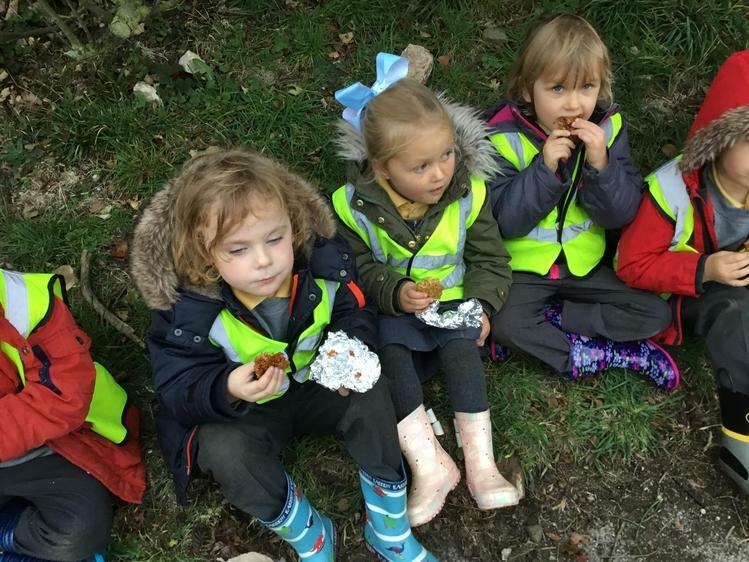 After all of that fun, we found shelter from the rain to eat our homemade flapjack. 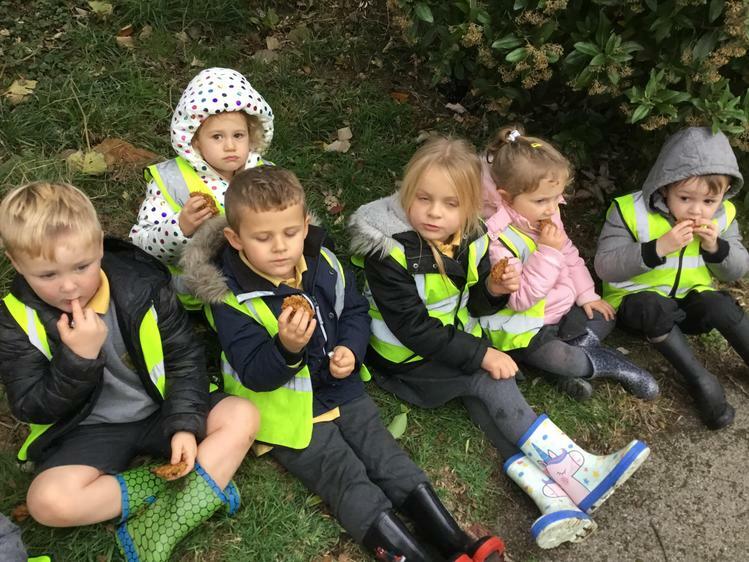 Well done to the children for making such a mouth watering snack. 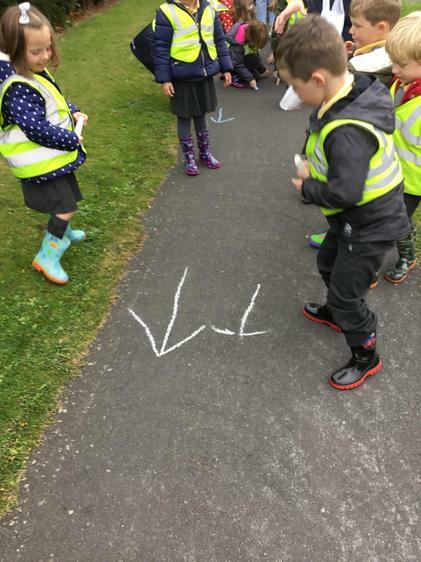 We walked back up to school and drank the hot chocolate that Mrs Potts had prepared for us. 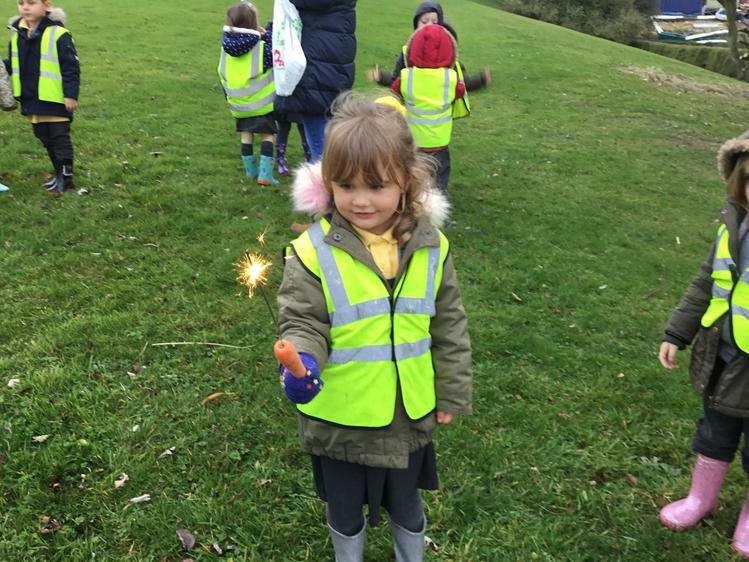 What a fantastic afternoon!